As we have moved into the 21st century, a core value for many public agencies and civil engineering firms is to be good stewards of their clients’ resources through delivering sustainable planning and design solutions. However, understanding what exactly constitutes and defines sustainability and how to precisely measure the sustainability of an infrastructure project is oftentimes confusing and inconclusive. 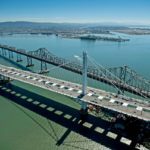 Celebrating its first anniversary this month, Envision (http://www.sustainableinfrastructure.org/) is a powerful instrument in the civil engineering tool box that allows professionals to assess, rate, and score infrastructure projects across a full range of sustainability objectives. Developed by the Institute for Sustainable Infrastructure (ISI), the rating tool supports a professional accreditation, ENV SP (Envision Sustainability Professional), which recognizes civil engineers who demonstrate that they are qualified to use the Envision system. Additionally, infrastructure projects rated by Envision which demonstrate higher levels of achievement will be eligible for ISI public recognition awards. Already, approximately 375 individuals have completed the training to become ENV SPs. Several prominent firms, including ARCADIS, Arup, HDR Inc., and Psomas, recently committed to pursuing the ENV SP credential for at least 100 of their employees. Plus, about 20 percent of professionals who are enrolled in the ENV SP credentialing program work for federal, state, or local government agencies. 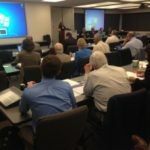 ASCE is presently working with ISI to develop one-day accreditation workshops to provide an alternative, in-person Envision training for credentialing civil engineers. Nearly a dozen infrastructure projects are in the verification pipeline to obtain Envision achievement awards. To illustrate Envision’s importance and growing acceptance by communities and public agencies as a valuable tool to help deliver sustainable infrastructure projects, several RFPs (requests for proposal) and RFQs (requests for quotation) throughout the U.S. are now requesting that a member of the project team has the ENV SP credential, including those from the City of Dallas, the Port of Long Beach, and the Massachusetts Water Resources Authority. “Envision opens up avenues of dialog between engineers,” says Dennis J. Stanford, P.E., ENV SP, environmental engineer in the New York City Department of Environmental Protection (DEP)’s Bureau of Engineering Design and Construction. “So far we have been using Envision as an icebreaker to introduce our engineers to sustainable design elements and show them how it fits in. ISI is a nonprofit corporation founded in November 2010 by ASCE, the American Council of Engineering Companies, and the American Public Works Association. The partnership was formed with the goal of creating a sustainability rating tool, which could become a nationally recognized standard for higher sustainability performance in infrastructure projects. The development of Envision was partially funded by a grant from the ASCE Foundation. Since its inception, Envision has promoted transformational approaches to increase a project’s sustainable performance for social, economic, and environmental factors. The rating system can be applied to a broad range of infrastructure projects from roads and bridges to water systems to energy systems and be scalable from local projects up to highly complex regional systems. One of Envision’s interesting applications is an ENV SP search that can be used to locate credentialed professionals by name or state. So if a firm or a community is looking for someone in a particular region with an ENV SP field of expertise, they can find their names and contact information on this site. Those individuals looking for a simpler educational tool to help familiarize themselves with sustainability on infrastructure projects have turned to Envision Checklist, which can be used as either a freestanding assessment tool for comparing sustainability alternatives for a project, or as preparation for a more detailed sustainability assessment under the Envision rating system. While Envision Checklist results are not verified by ISI, nor are they eligible for ISI awards, users can determine how their project’s concepts and design relate to Envision and potential achievement in sustainable infrastructure performance.